Alan Neill and Mark Hawthorne from the NCU, Roly Black from the NW and Leinster's Paul Reynolds are the quartet awarded the full-time deals and they will stand in the majority of the inter-pro series this year, which gets under way in Spain later this month. 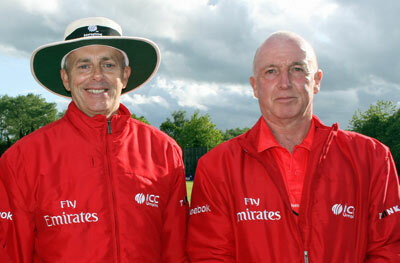 There will be a first-class panel of 11 umpires, while there will be an additional five on the Representative Panel. Two women are included in the panels, with the NIACUS' Laura Caughey joining Mary Waldron, who continues on the first-class Panel, while Caughey is appointed to the Representative Panel. 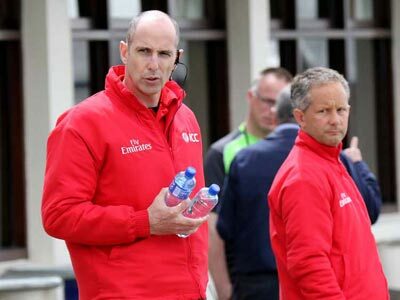 Richard Holdsworth, Performance Director for Cricket Ireland, said: "If we are to truly deliver world-class cricket in Ireland, we need to have world-class umpires. Mark Hawthorne, who started umpiring 24 years ago, said: “As Irish cricket becomes ever more professional at all levels so the standards and expectations of officiating must also rise to help create the right environment for each match. "The new Cricket Ireland Umpire Panel structure represents a huge step forward for officiating in Ireland and there is now a clear pathway for those with the ability and commitment to reach the top level." Match Referees and scorers Funding has also been allocated for the appointment of a panel of up to six Match Referees, and there will be a pay increase across the board for all officials and scorers in 2019.